It’s been a soaking spring across the Midwest. 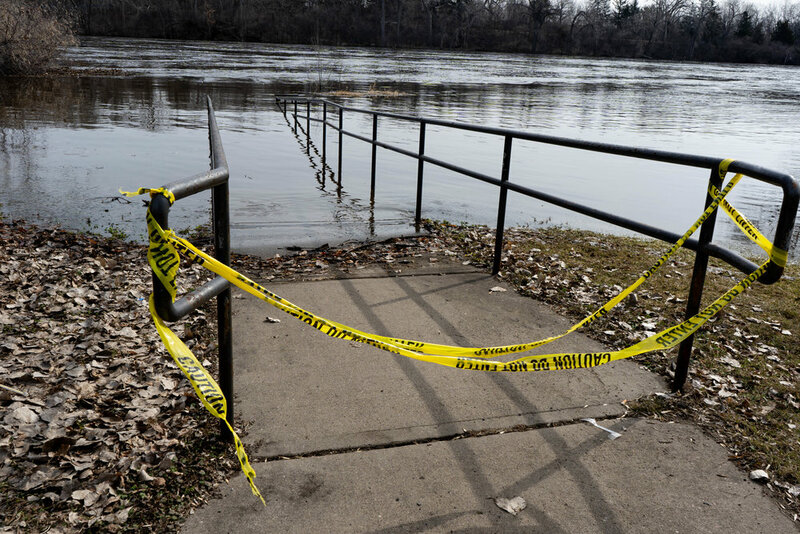 Historic flooding plagued communities from Missouri to Minnesota. The floods caused at least three deaths across Nebraska and Iowa, and have already rung up more than $1 billion in damages to farms, roads, and levees. Some residents of the Pine Ridge Indian Reservation in South Dakota were stranded in their homes, cut off from food supplies and potable water. Why were these floods so much worse than years past? To find out, the Water Main asked the experts. The spring’s flooding can be traced back to the rainy days of late 2018, according to Doug Kluck, NOAA’s climate director for the Central Region of the U.S. Last year’s wet summer and fall saturated the ground with water, filling the spaces between grains of soil. So the soil stayed frozen, with no capacity to soak up water when a sudden warm spell dumped inches of rain on the region March 13th. All that rain combined with snowmelt and found its way to streams and rivers—many of which were capped by ice themselves. Those water bodies quickly leapt their banks, flooding miles of land along their coasts. A 2-3-inch rain event like the one on March 13th is generally not disastrous in the Midwest. It was the timing of this storm—before the spring thaw—that caused so much flooding. So was this just a freak flood, or a preview of things to come? Climate change predictions aren’t particularly reassuring. More flooding on the horizon? High-intensity rainstorms are growing more common in the Midwest, says Paul Huttner, chief meteorologist at Minnesota Public Radio and host of Climate Cast. “One of the biggest climate shifts in the Midwest is heavier precipitation,” according to Huttner. “That means floods in all seasons are on the rise,” he added. The National Climate Assessment predicts that trend will continue. Climate models in the NCA forecast more high-intensity rainstorms like the one that triggered this spring’s floods. Less clear is how many of those storms will strike the frozen “parking lot” soils of early spring. Kluck is not sure if our changing climate will favor such conditions in the future. “The research is still out,” says Kluck. But given predictions of higher storm intensity, “there’s a lot of circumstantial evidence.” More storms overall could balloon the chances of one hitting at the wrong time, when the ground is still frozen and covered in snow. Has your town seen flooding this spring? Any ideas to improve flood resilience? Share your photos and experiences with @thewatermain on Twitter!